I want to talk to you about Wanderlust, that feeling we get when we feel like wandering, like being some place other than where we are, doing what we are doing. It is when we feel that there is someone, some experience, some job, something better out there than our current situation. Wanderlust is the first cousin of FOMO (fear of missing out). Yet, the truth is, where we are planted today is where we need to be. Sacrificing, doing the work, climbing the mountain, sometimes with no light at the end of the tunnel in sight; this is where we need to be in order to create something that eventually others will talk about. Lately, I have been reminded that there is no better path than the present. I have experienced the magic of the great works of others, which took years for them to live and years to create, and it was worth it. 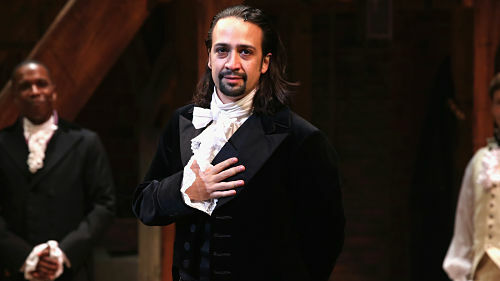 In July, I wrote about the Broadway show, Hamilton, Lin-Manuel Miranda’s masterful rap musical about the Founding Fathers of America, led economically by an immigrant, Alexander Hamilton (the man on our $10 bill). Hamilton was Lin-Manuel’s focus for 6 years. He created a play so well crafted, so deep, so profound that it has just won him The MacArthur Genius Award. Then there is Gloria and Emilio Estefan. They have accomplished so much, and they could have rested on their laurels, but instead they have created a Broadway musical, On Your Feet!, about their lives and their struggles. It makes you never want to give up. Click here for more information on "On Your Feet"
With these three works, I have laughed, danced, sung, and cried. I see that you can really follow your bliss, stay the course, walk the walk of what you preach, and as Gloria Estefan said, “You can’t fake real”. The common denominators of all three works are: gratitude and love for this country and the opportunities we have all been awarded, perseverance, taking steps every day to accomplish goals and get their projects made; the love of being Latino, our food, our culture, our values and our spirit, and the authenticity of people who are real! So my ladies, next time you are feeling Wanderlust, swaying and wandering from your mission, wondering where else you should be, write your story. Make something happen, start your business, and create a life worth talking about!